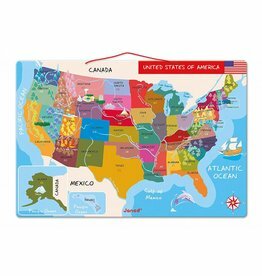 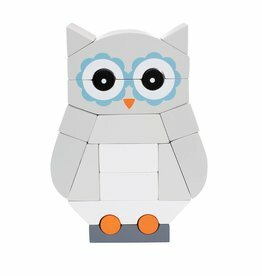 This wooden puzzle will teach your child about basic shapes as well as local Louisiana culture. 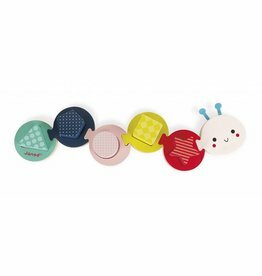 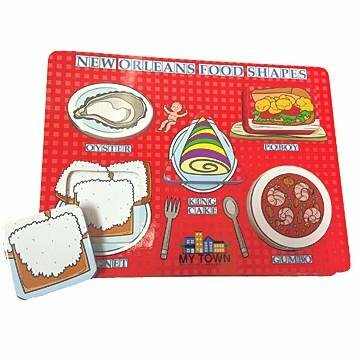 The puzzle is designed for toddlers and uses New Orleans foods and Louisiana Seafood to teach basic shapes. 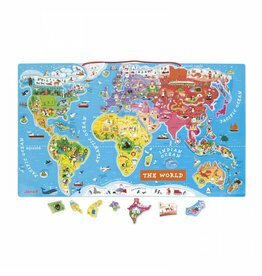 Around the world in 92 magnets!